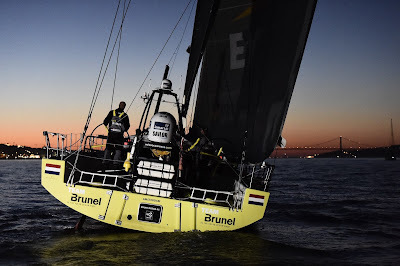 Team Brunel (Bouwe Bekking/NED) completed a triumphant Leg 7 early on Wednesdayto bolster their hopes of finishing with a podium place in the Volvo Ocean Race and also keep alive the possibility of overall victory. If Abu Dhabi Ocean Racing finish fifth that could open the door again for Team Brunel, currently third overall, who would move within six points of the Emirati boat. Team SCA (Sam Davies/GBR) were just a handful of miles further astern. Few sailors in the fleet will savour a win over one of the race’s trademark legs more than Team Brunel’s 51-year-old skipper, Bouwe Bekking, in his record-equalling seventh appearance. 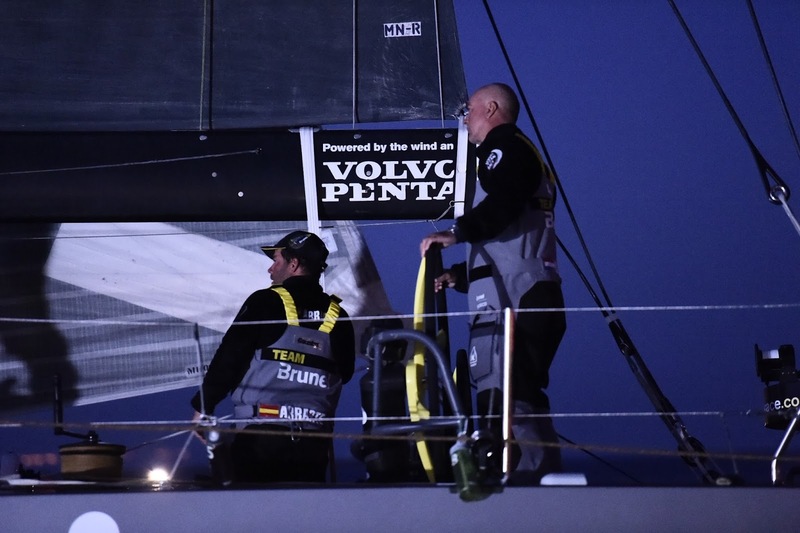 Bekking insisted last week that he had not lost ‘a single night’s sleep’ over the incident and the confident way that Team Brunel sailed the leg would bear that out. 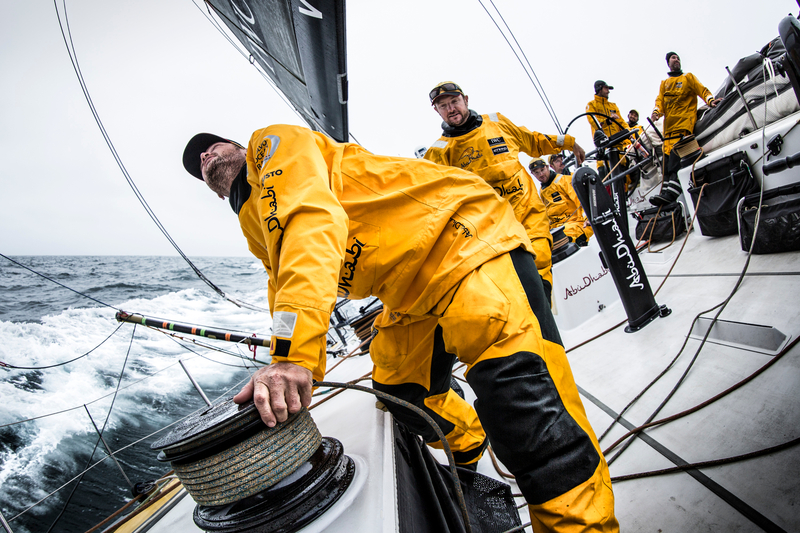 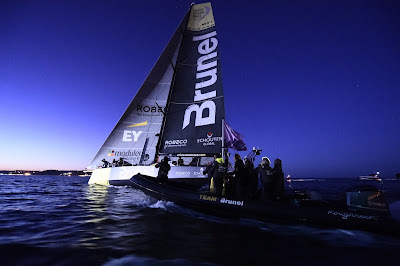 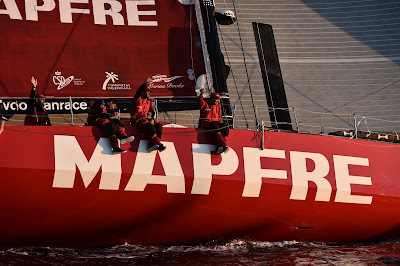 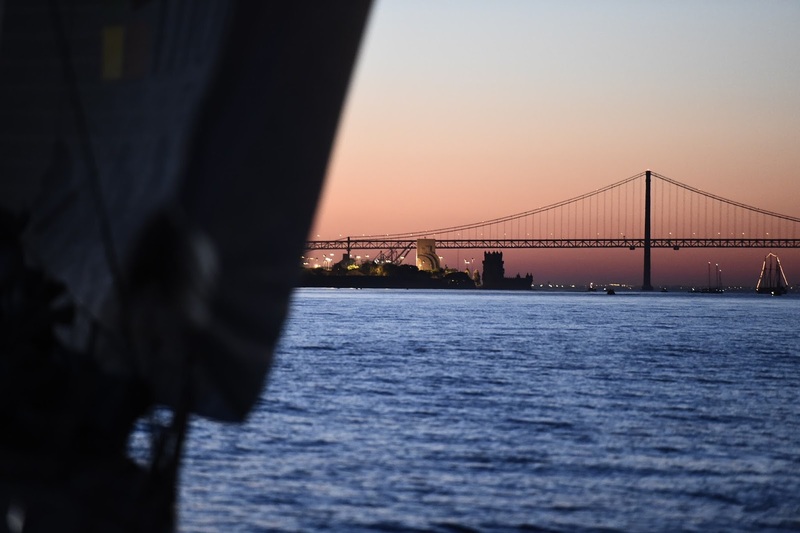 Team Brunel were harried all the way over the past 24 hours by both MAPFRE and Dongfeng Race Team, especially over the final few miles in a ‘park-up’ in the Tagus River as they approached the Lisbon finish. 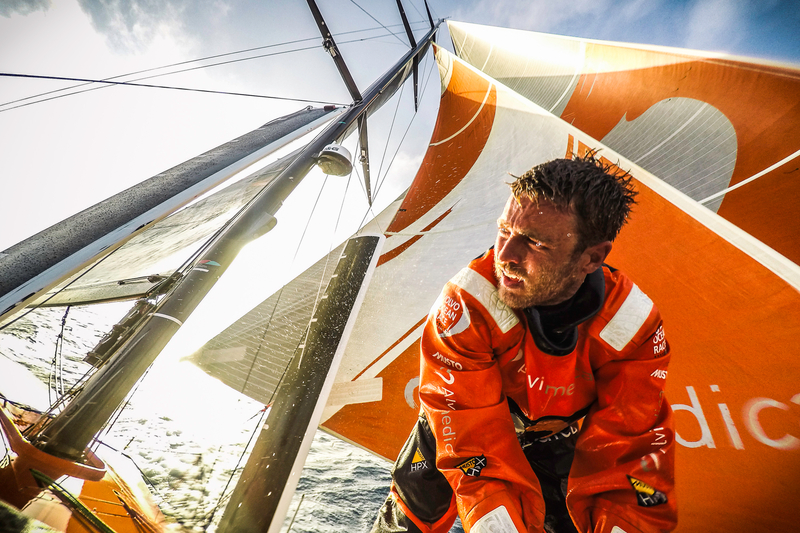 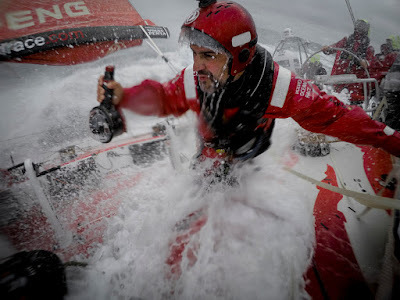 "We sailed a tremendous leg but just at the end when there was no wind, it was getting a bit gnarly. 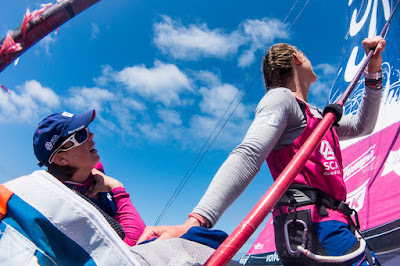 But we pulled it off, " said Bekkiing. The final two stages, to Lorient (France) and then Gothenburg (Sweden) via a pit-stop in The Hague (Netherlands), will once again be contested by seven boats. Team Vestas Wind (Chris Nicholson/AUS) rejoin the fleet for the first time since November 29 when the boat was grounded on a reef in the Indian Ocean. 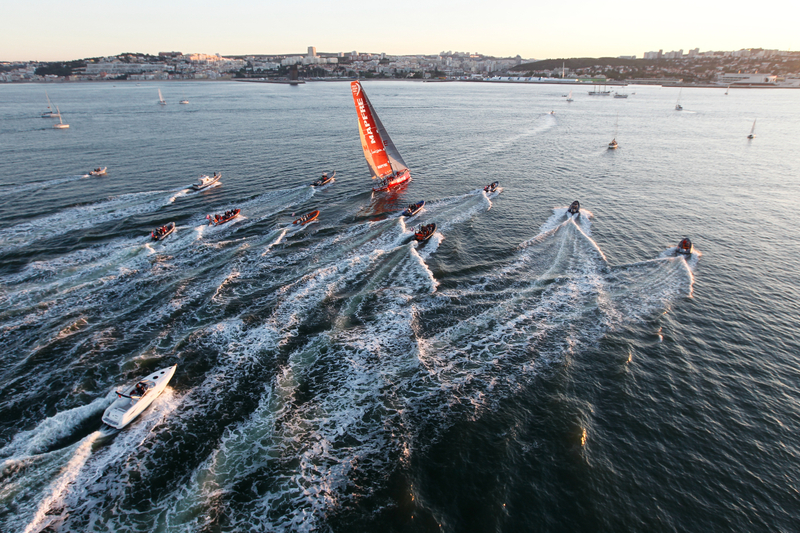 Over the next few days, the rig will be stepped ahead of the Danish-backed team’s competitive comeback on June 6 in the Lisbon In-Port Race. 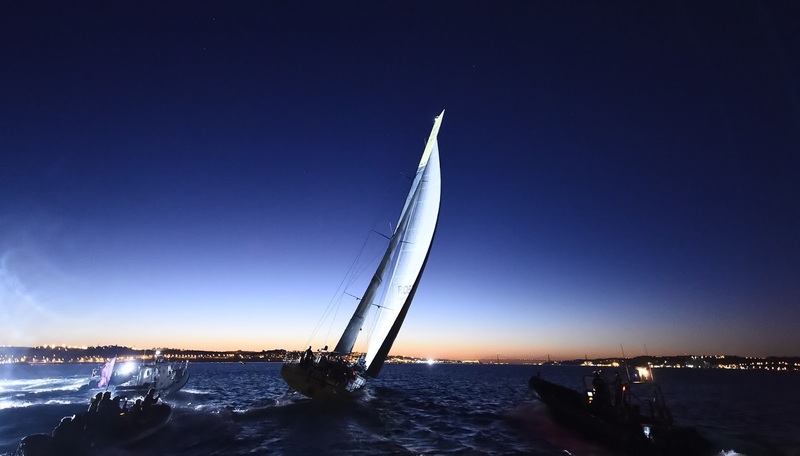 Leg 8 to Lorient, a relative sprint at 647nm, begins a day later.